Another of Mark’s life-long interests that began at a young age is mineral collecting. Mark explains, “There was an old rock collector that lived on the street I walked to elementary school on. Every day, morning and afternoon, I would slow my pace along his fence line to admire all the beautiful rocks in his garden. One day, he saw me admiring his rocks and asked me if I would like some pretty rocks. I said, ‘SURE!’ He gave me a piece of Utah Wonderstone, and a rock with a vein of chalcopyrite running through it. You would have thought that he had given me a million dollars. I ran all the way home to show my mother. I have been hooked on the beauty of the mineral kingdom ever since. By the way, I still have that piece of wonderstone,” says Mark. 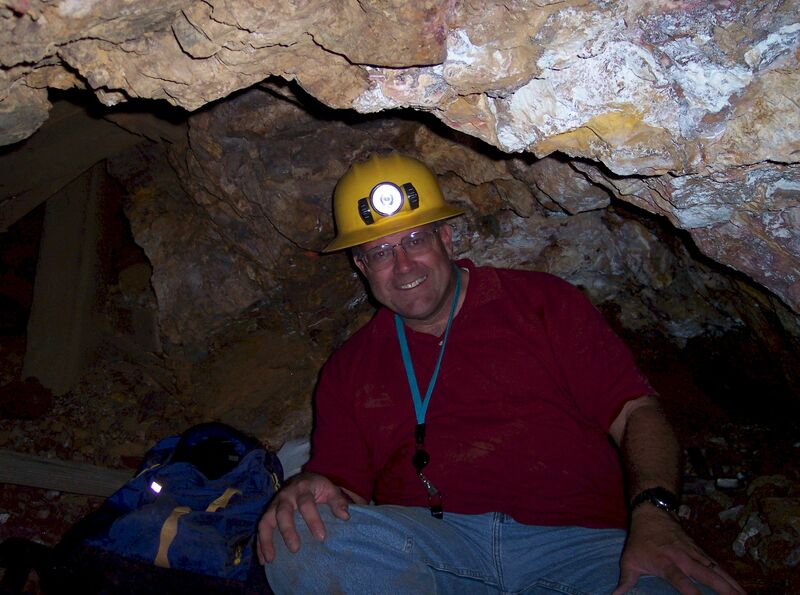 Mark is an active field collector, and is a Past President of the Mineral Collectors of Utah.